This is our Facebook based fundraiser, where we have set the current target at £500. All funds raised will contribute towards the next phase of work, developing the perimeter of our tree planting project. We have five rehomed and rescued ponies, each with their own special needs. By clicking on the image above, you will be taken to the fundraiser page where you can read more about it and donate towards the project. 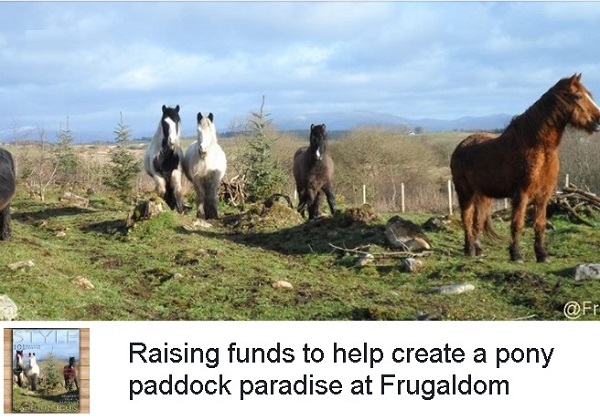 Frugaldom is not a charity, we simply operate on a not for profit basis and welcome anyone who would like to help us create a project that can be shared in future, something that will be here for all to enjoy at their leisure. The land is being cultivated to create orchards, forest food gardens, foraging hedgerows, working woodland, environmental art and promote sustainability while also improving wildlife habitats and providing sanctuary for the ponies. It will be of particular interest to those who seek to experience nature's own therapies or who enjoy getting outdoors to relax and unwind. 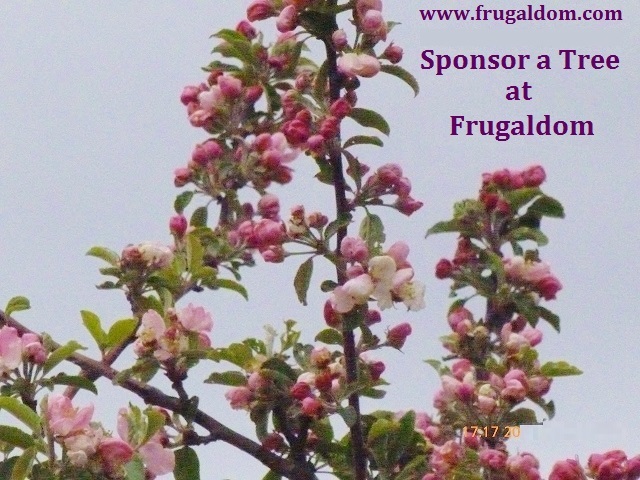 For other options, you can visit the Frugal Shop, where you can sponsor a tree or tag a post from £10, or join us as official 'Friends of Frugaldom' from as little as £5 per month. 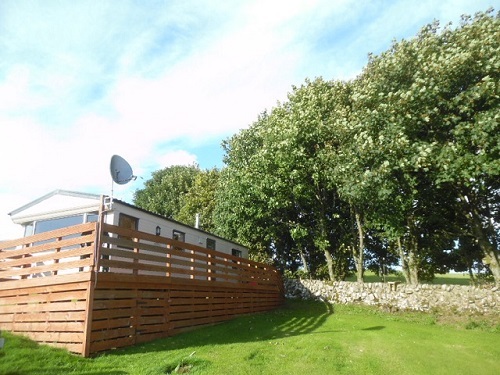 Or perhaps you would like to make use of Glenluce Holiday Cottage as a home-from-home base while you explore Dumfries and Galloway. We accept help in almost any way, shape or form, be it time, goods, services, bartering, swapping, donating or volunteering. We often run fundraising auctions where proceeds contribute directly to the project. We need your help to make this dream a reality - be part of this great journey and don't forget to share it with your friends and family.